I loved being called Deana Martin. Even when I was very small. Dad was such a positive influence on people’s lives that to be so closely associated with him was always a blessing. People can’t help but smile when they think of my father, which has to be the greatest legacy of all. When people hear my name for the first time, they usually ask the same question: “Any relation?” “Yes,” I reply proudly, “he’s my father.” They smile and cry, “Oh, I love your father! I’ve loved him all my life.” Sometimes, just sometimes, they ask me the most important question of all: “Was he a good father?” To their surprise, I shake my head and smile. “No,” I reply. “He wasn’t a good father, but he was a good man.” Where Dad came from, that meant a great deal more. In page-turning prose, Deana recalls her early childhood, when she and her siblings were left in the erratic care of Dean’s loving but alcoholic first wife. She chronicles the constantly changing blended family that marked her youth, along with the unexpected moments of silliness and tenderness that this unusual Hollywood family shared. Deana candidly reveals the impact of Dean’s fame and characteristic aloofness on her efforts to forge her own identity, but delights in sharing wonderful, never-before-told stories about her father and his pallies known as the Rat Pack. It may not have been a normal childhood, but Deana’s enchanting account of life as the daughter of one of Hollywood’s sexiest icons will leave you entertained, delighted, and nostalgic for a time gone by. 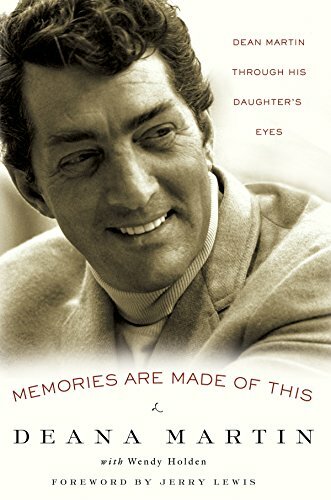 With warmth, humor, and unabashed candor, Deana Martin has written a moving, often surprising portrait of an icon, as seen through the eyes of his loving daughter.